Since 1991, JumpStart® has set the standard in kids’ gaming by creating the finest educational products for use in the home and classroom. 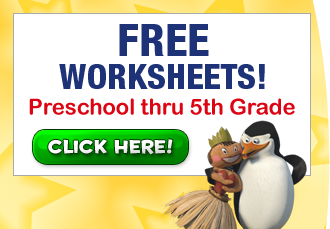 Today, JumpStart designs and produces games under two primary brands, JumpStart® and Math Blaster®. Each of these brands boasts hundreds of awards and an impressive twenty year history of quality products that have earned the trust of millions of parents. With games available online, on the Nintendo DS™, Nintendo Wii™, iPad™ and by mobile download, JumpStart games are offered on the platforms today’s kids love most. Trusted by over 30 million parents, the JumpStart brand has been a leader in the educational software market for over 20 years. Recently, the internationally renowned brand expanded into the online gaming market with a new tent pole property at JumpStart.com. Launched live on March 10, 2009, JumpStart.com is a groundbreaking evolution in children's learning games and the first learning game delivered in a browser with high-quality 3D graphics and advanced game play. A completely safe and secure online environment where kids can interact, explore and learn, JumpStart.com has quickly become the epicenter of online gaming for the 3-10 year old demographic. 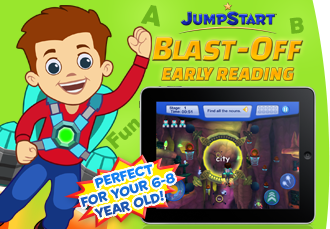 JumpStart has several successful educational mobile apps including Preschool Magic of Learning and My ABC Book, as well as casual apps like Punk Punk Blitz and Roller Squash. Perhaps Knowledge Adventure's most beloved brand, Math Blaster products have been used in classrooms and homes worldwide for over 15 years. Mathblaster.com is the online hub for outer space-based MMO gaming. Membership to Mathblaster.com extends to include JumpStart as well. Through a partnership with Majesco Entertainment Company, the brand also transitioned onto Nintendo DS. Math Blaster in the Prime Adventure extends the proven brand into an age-appropriate handheld platform. Math Blaster learning apps are available on iPad/iPhone and Android devices. 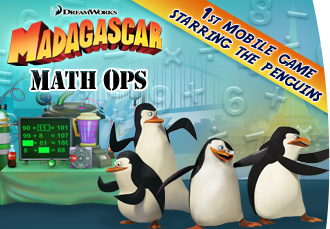 Through a first of its kind model, Math Blaster mobile and online games are linked for connected play at home or on the go. 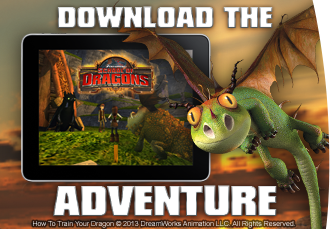 The newest brand for Knowledge Adventure comes from DreamWorks Animation. 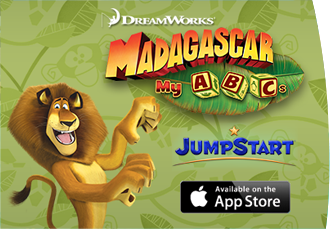 Madagascar will share a home in JumpStart where Alex, Marty, and the rest of the Zoosters will entertain and help children learn. 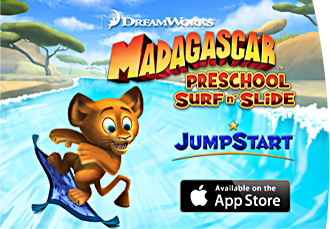 Along with their new home in JumpStart, the Zoosters will also be part of various mobile applications including the first release: Madagascar Preschool Surf n Slide. JumpStart and DreamWorks Animation will also partner on the release of online and mobile learning products under the How To Train Your Dragon brand. Look for more information soon….